The more I look at them, the more I like them. Dror Benshetrit has a new line of affordably-priced home furnishings at Target. 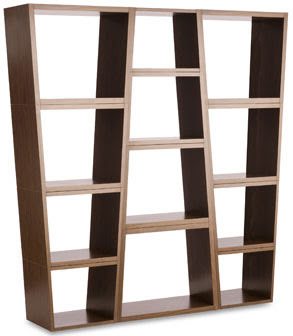 We’re particularly impressed by this nesting bookcase, which adapts well to the demands of different spaces. A set of four open shelves is only $90, and the sets can be placed in groups to create larger shelving units or used as simple end tables.